Royal Bank of Canada’s Greg Mills, the global equities head who spearheaded his firm’s fight against predatory high-frequency trading, is leaving RBC Capital Markets next month after two decades at the bank. Mills, who led the global equities business out of Toronto since 2005, decided to depart after “productive discussions” the firm had on succession planning, according to an internal memo Monday from Mike Bowick, head of global markets. Mills, 56, will be succeeded by Bobby Grubert and Ahmed Kachenoura, effective July 1, Bowick said in a separate memo. “I’m excited about the next chapter for me, knowing that the firm and the team will be in great hands,” Mills said in an emailed statement. 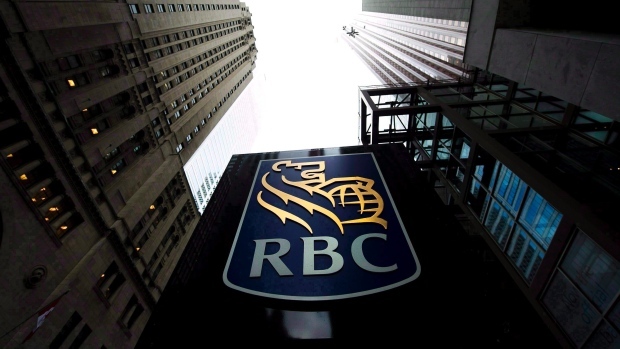 RBC Capital Markets is in the middle of a reorganization following the promotion of Derek Neldner to head global investment banking and other management shuffling. The moves have come amid departures of senior bankers in New York, including Blair Fleming, the U.S. investment-banking head who was fired for failing to disclose a relationship with an employee. Mills was an advocate for market transparency while at RBC, and under his leadership the firm developed a smart-order router named THOR to level the playing field between institutional investors and high-frequency traders. The efforts earned the bank the moniker “RBC Nice” in Michael Lewis’s 2014 book, “Flash Boys: A Wall Street Revolt.” Mills and his firm played a key role in the past five years building a Canadian exchange based on THOR that countered predatory high-speed trading, and Mills became chairman of its owner, Aequitas Innovations Inc.
Mills will stay on until the end of July to help with the transition for Grubert and Kachenoura, who will remain based in New York. Grubert, 45, most recently was head of U.S. and European equities and global electronic trading. He’s been with RBC since Dain Rauscher Wessels was acquired in 2001, and since then served as head of U.S. trading and head of U.S. equities. Kachenoura, 48, with more than two decades experience within equity derivatives, ran global equity-linked products out of New York. He joined RBC in London in 2012 as head of Europe, Middle East and Africa trading before moving to New York in 2013 to lead global equity-linked products for the Americas.